So my daughter is looking through her album recently. OK...so can I feel a little bit more guilty? 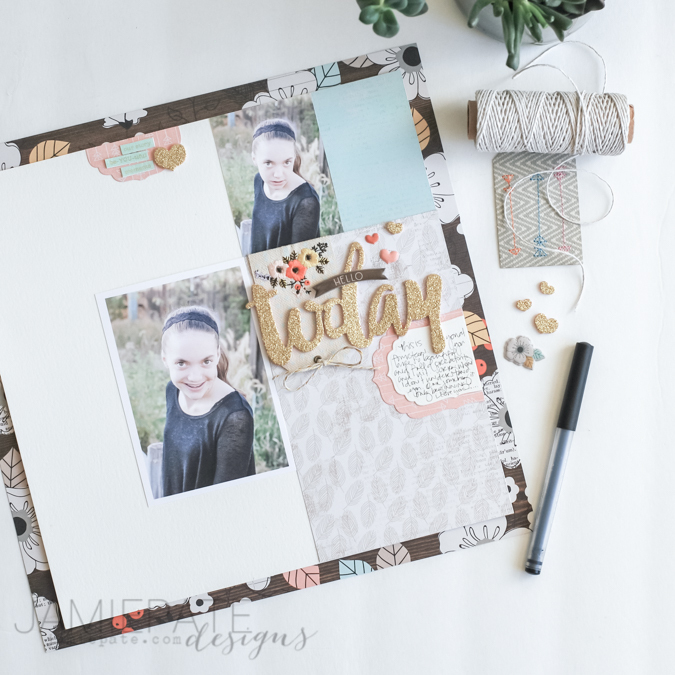 I focused so much last year on ProjectLife which is our family album. But I am not doing what I want to do, and that is to tell my daughter her story right now. I don't put a whole lot of 'events' in her album, it is more her journey and what goes on right now with her. I snapped a few pics of her at our family photo shoot. So this is my way of documenting her at 14. Eek. 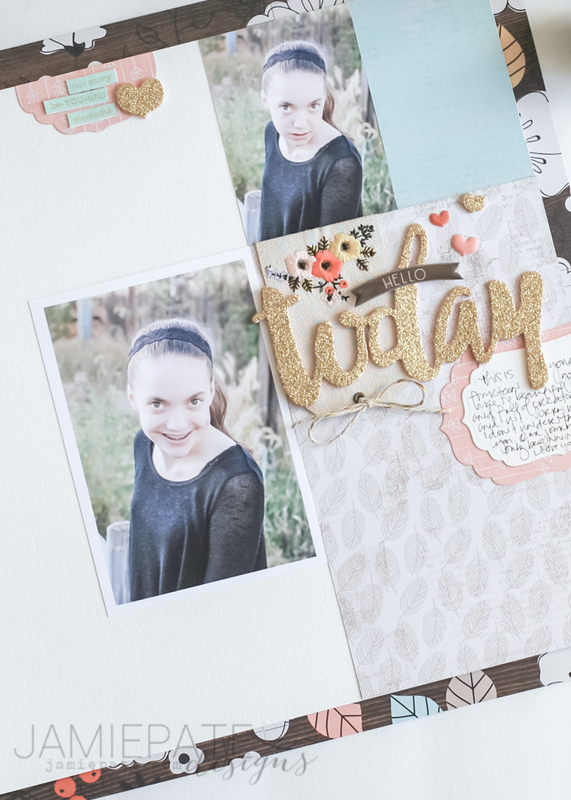 Cedar Lane from Pink Paislee is sort of my go to scrapbook collection right now. I love this range of pattern so very much. The collection includes fabric tags. They are embroidered and wonderfully beautiful. I turned this one upside down and tied a bit of gold twine through the top. It's a subtle touch. But I like how it turned out. In this same cluster of embellishments the title is found. Hello Today. 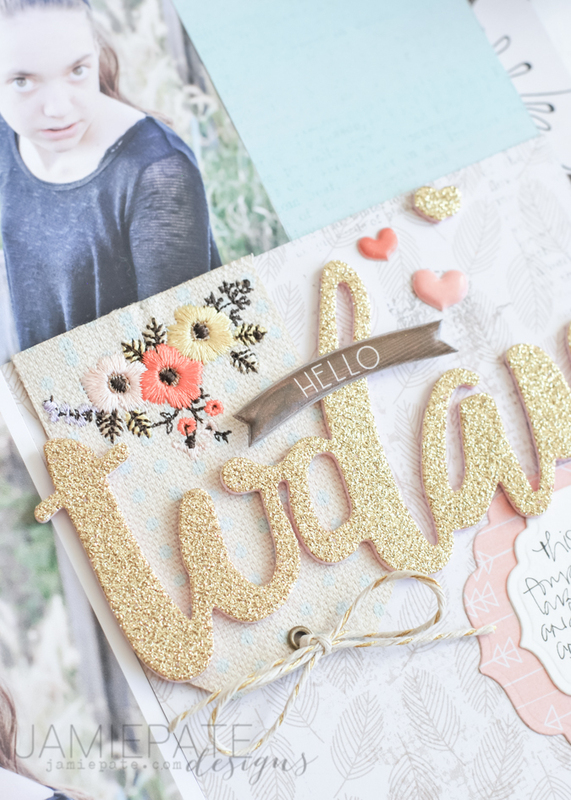 The gold glitter word is GORgeous! I think that alone on a layout would be enough. But no...I had to add more...the 'hello' Puffy Sticker is layered over the word and makes the title complete. Make sure you check out all of the Cedar Lane Pink Paislee collection...it is easily found at Scrapbook.com. It will make you happy. I promise.